We’ve all seen the adorable little opaque bottles and super-cute portable LED and UV lights. We’ve all heard of beautiful shine and long-lasting durability of Soak-Off Gel Polish. And more recently, with the rise of DIY at home gel nail products, now everyone can try it! Multiple brands have soak-off gel nail kits available at beauty retailers worldwide, making this once-pricey and salon exclusive more accessible. But before you don those pajamas, pour that comforting glass of whatever you prefer, and pop in that chick flick, make sure you’re knowledgeable, informed, and well-prepared for that life-changing mani you’re about to give yourself (seriously, I love polish, but gel has changed my nail-centric life). Educate yourself on what you should – and shouldn’t do – when it comes to bequeathing those tips with Soak-Off Gel Polish! With virtually all knowledge at our perfectly polished fingertips, don’t hesitate to research, via the Internet! Always use reliable, official resources for tutorials, tips, and tricks. Watch a few videos on basic gel application – many brands have easily accessible video tutorials. 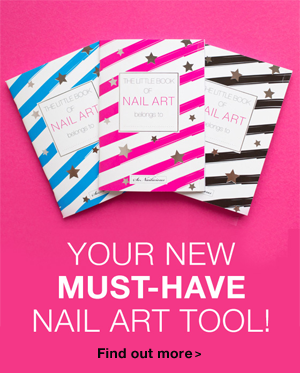 Check out your favorite nail blog for tips that they’ve accumulated with their experiences. Start compiling your own list of notes. This is one of the most important parts of making sure your gel manicure lasts! 2. Practice proper nail prep! Gel polish needs a clean, dry surface to adhere to in order to last. Start by gently pushing back your cuticles. File your nails to the desired shape (don’t know how? 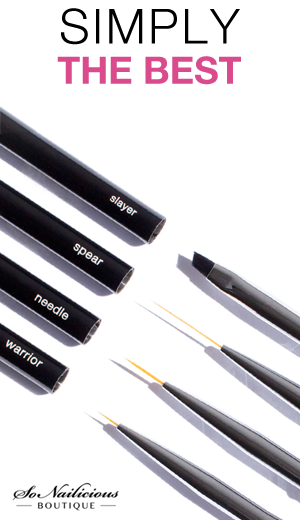 Watch this helpful tutorial on how to file nails for the perfect oval shape). Make sure you get those little hangers from the edges and underneath the nail! Because if you will leave rough, uneven edges it cause adhesion issues. Then lightly buff the surface and edges of your nail with an extra-fine buffer (just enough to remove the shine), then spray with cleansing alcohol and wipe dry with a lint-free wipe to remove debris. Use a primer or pH balancing liquid (provided with practically every basic gel polish kit) prior to application. Extra tip: use pure acetone (available at any beauty supply store) prior to the primer step to dehydrate the nail plate and ensure there is NO moisture present before beginning. 3. Prepare your supplies before you begin! 4. Do use proper removal technique! This ‘do’ is very important to maintaining the health of your nails. While acetone can dehydrate the nail plate, properly soaking off gel polish will prevent the peeling of your nails. Use a file to break the surface of the gel polish. Saturate lint-free wipes with pure acetone, wrap with foil, and let sit for approximately 10-15 minutes (don’t peek!). Use an orange stick to gently lift any remaining gel from the nail. If not all the gel has lifted, re-apply the acetone-soaked wipes and foil for a few more minutes. Extra tip: watch this tutorial on how to remove nail polish like a pro – the second method is perfect for removing soak off gel nails. 1. Don’t apply thick layers! This is a must when applying gel polish! Just as with regular polish, thin layers make for smoother application. And in the case of gel polish, gel foundation, and gel top coat, if the layers you are applying are too thick, this can negatively affect how the polish cures and adheres. If you think you may have applied too much product, you can use the ‘dry-brush’ technique – wipe all excess product off the brush, and drag it back over the already-polished nail – this will remove any excess product. After curing, repeat 1-2 more times for a total of 2-3 layers. 2. Don’t wash your hands! I know, sounds gross. You CAN wash your hands, but just not before product application! It is best to have a super-dry nail plate to work with – hence all the dehydrating methods taken prior to polishing. If you must, wash right after polish removal, dry THOROUGHLY, and proceed with prepping! 3. Don’t let the gel touch the skin! 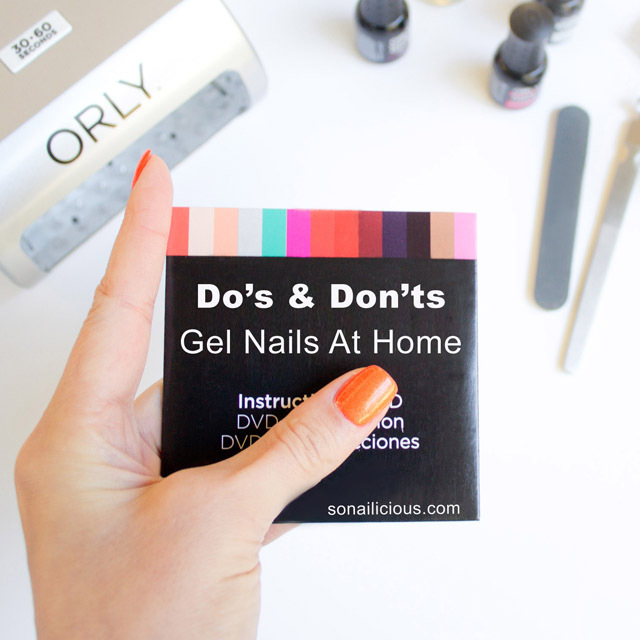 This can take a little practice and the proper tools, but as with many of the above don’ts, is such a vital part of a lasting gel manicure. Gel polish hates skin, and if any run-over is left to cure, it will start to lift once the manicure is completed. Additionally, if any of this errant polish is left to cure, it will make for jagged and un-even sides, which tend to catch…and, you guessed it, lift. Before curing each layer, use an angled brush that has been dipped in acetone (dab onto a paper towel to remove extra) to clean along the cuticle and sides of the nail. The number one nail sin. As absolutely tempting as it can be, this is THE most potentially damaging action you can take – and one of the reasons gel polish has earned a reputation for damaging the nail plate. With the high adhesion that this product offers, peeling the polish lifts precious layers of nails along with the gel – and leaves thin, uneven, and flaking nails. So whatever you do, resist, take your time to soak, and DON’T pick. Armed with these tips and your gel polish kit, keep your wallet lined and have a fabulous DIY gel manicure at your fingertips! P.S. Want to try doing gel nails yourself? Here’s a great detailed tutorial on how to do gel nails at home.